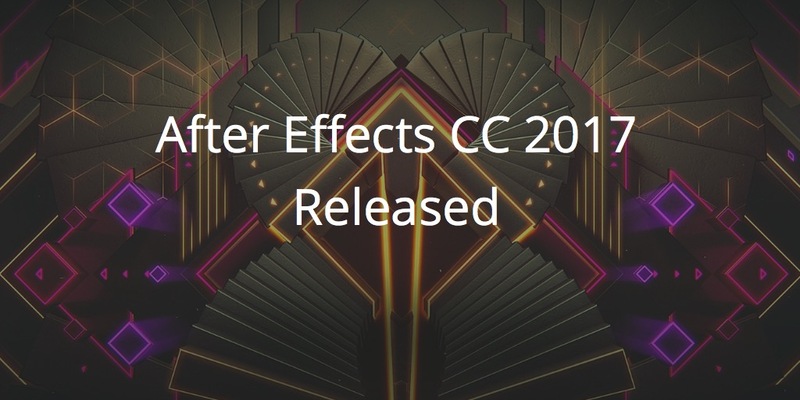 Today (Nov 2, 2016) Adobe released After Effects CC 2017 with many new features. *Important note: You can have multiple versions of AE installed at the same time. To keep the previous version installed when you update, you need to uncheck the "Remove old versions" checkbox under "Advanced Options". More details and screenshots here. New scripting access to tools, composition markers, the Queue in AME command, and GPU acceleration options. Also includes: Better UI retina support, improved markers, Adobe Media Encoder export improvements, enhanced Time Remapping, a 360-degree preset for monoscopic equirectangular video viewing, support for macOS 10.12 Sierra. Many additional small improvements, such as new 4K and 8K composition presets, and many bug fixes..